Baseball, more than any other professional sport, has its share of anthems. With the start of the 2013 season taking place in earnest today, you’ve probably heard Fogerty’s “Centerfield” at least once. It’s a bit premature for Springsteen’s “Glory Days” with 161 games left to play. Trying to pen a song that captures the fleeting excitement of baseball’s first week in April is perhaps a thankless task. Setting out to do so is akin to forming an expansion team in a mid-market city. With the aforementioned stadium anthems now staples of the dirt diamond landscape, all-encompassing odes to baseball are a rarity. I will offer up the hidden gem, “For New Starts” by Centro-matic, as the possible exception. Where the art is gaining traction is with topical songs about players (see: Jerry Jeff Walker‘s “Nolan Ryan”), teams (see: Eddie Vedder‘s ode to the Chicago Cubs, “All the Way”) and even bands (see: The Baseball Project). 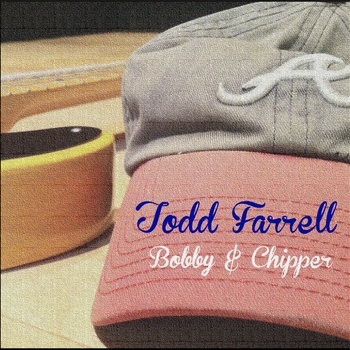 Add to this list “Bobby & Chipper” by Todd Farrell. An ode to his beloved Atlanta Braves, Todd “wrote and recorded [“Bobby & Chipper”] in honor of Chipper Jones, Bobby Cox, and growing up in Atlanta.” One listen to the song and I can tell Todd loves baseball as much as me. Team loyalty aside, “Bobby & Chipper” is as much a song about his favorite team and player as it is about his love of the game that clearly stems from childhood. As any life-long baseball fan knows, your playing days may be over but those childhood memories (“10 more years on the cul-de-sac”) will last forever. And therein is the beauty that only comes once a year with opening day. Give Todd’s “Bobby & Chipper” a listen below. Hell, you can buy it for $1 which is way less than a domestic beer will cost you at your local stadium. Blessed be we baseball fans. No matter your favorite team, here’s to 161 more games of the best sport in the world.